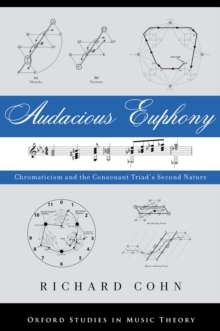 In recent years, music theorists have been increasingly eager to incorporate findings from the science of human cognition and linguistics into their methodology. 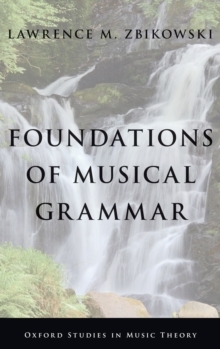 In the culmination of a vast body of research undertaken since his influential and award-winning Conceptualizing Music (OUP 2002), Lawrence M.
Zbikowski puts forward Foundations of Musical Grammar, an ambitious and broadly encompassing account on the foundations of musical grammar based onour current understanding of human cognitive capacities. Musical grammar is conceived of as a species of construction grammar, in which grammatical elements are form-function pairs. 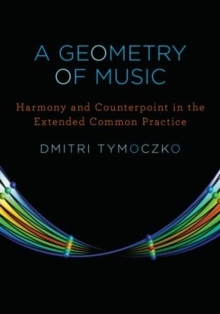 Zbikowski proposes that the basic function of music is to provide sonic analogs for dynamic processes that are important in human cultural interactions. He focuses on three such processes: those concerned with the emotions, the spontaneous gestures that accompany speech, and the patterned movement of dance. Throughout the book, Zbikowski connects cognitive research withmusic theory for an interdisciplinary audience, presenting detailed musical analyses and summaries of the basic elements of musical grammar.